We use Personal, Social and Health Education, alongside Citizenship (PSHE & C) to help us with this. It is the curriculum context for the personal and social development of our children. The purpose of PSHE & C is to help children understand and value themselves as individuals and act as responsible and caring members of society. 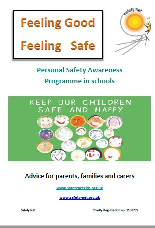 Please click on the tabs on the side bar under Personal, Social and Health Education header to navigate around our PSHE & C section to find out more. We are currently applying to become a School of Sanctuary! A school of Sanctuary is a school that is committed to being a safe and welcoming place for those seeking sanctuary. It is a space for those whose lives were in danger in their own country, who have troubles at home, or are just looking for a space where they can feel safe. At West Hove, we are dedicated to being a welcoming community for all. We do this in several ways already, such as teaching a unit on refugee children using a persona doll in our Reception Classes and by holding frequent Takafa coffee mornings. We also consult our Parent Council Meetings on how best to serve our community. Look out in our newsletters for ways to get involved and be part of Refugee Week 2017!